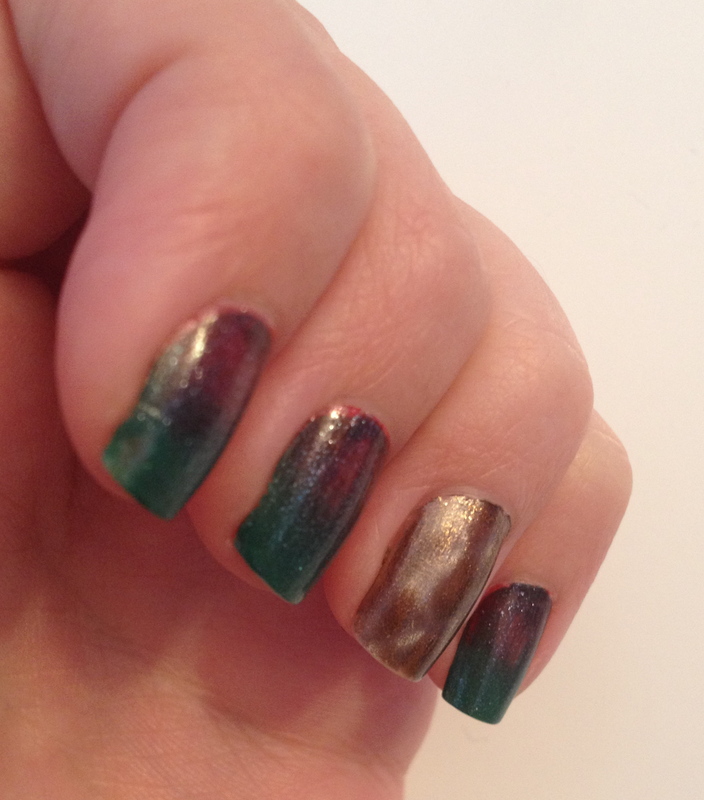 My first example of street nails is kind of cheating /: it’s also combined a bit with Rewind Wednesday as it was a mani I saw before Christmastime. 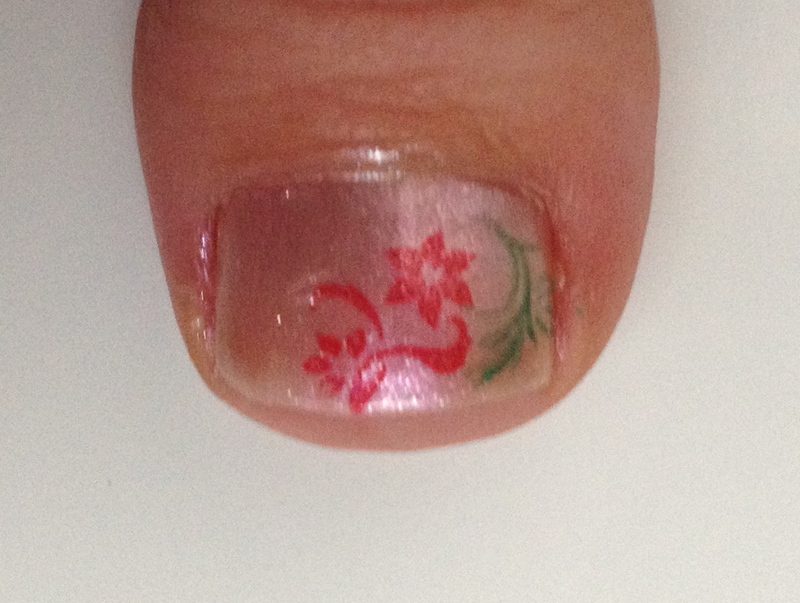 Over the past semester, I have been spreading my love for all things polish to the girls on my ballroom team. I’ve mentioned before that we’ve gotten together and had a girls night (or two) with movies and manis, but occasionally they’ll surprise me with creations of their own and it makes me so proud! I actually attempted two Christmas themed manicures this past holiday season, but the first one lasted all of 5 minutes before I took it off, and then I didn’t have time to post pictures of the second one! 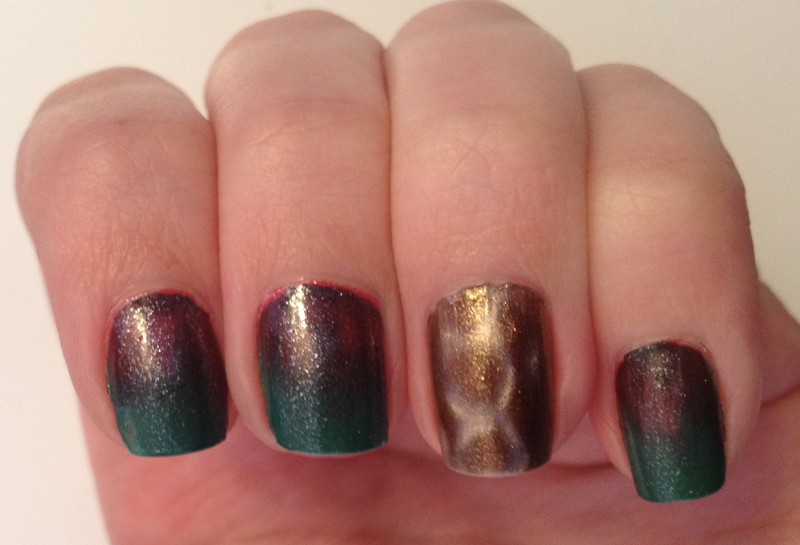 I did these nails on Christmas eve before attending my brother’s birthday dinner (he’s actually a Christmas baby!) and then it was Christmas day and then I spent a week skiing in Tahoe! So I guess this qualifies as rewinding a bit. Edit: Sorry for the late post! 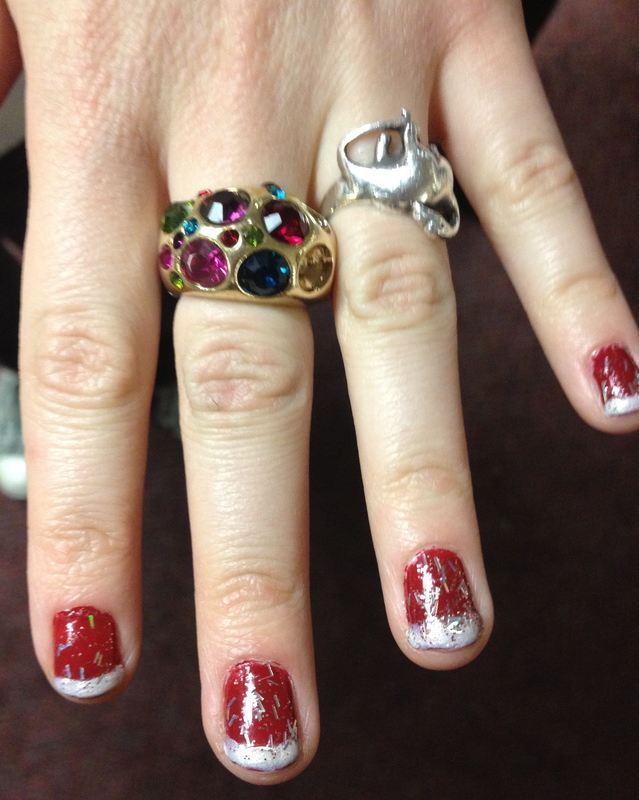 I realized I hadn’t added pictures from my first Christmas mani! As my birthday was two weeks before Christmas, my birthday manis tend to take precedence over my Christmas ones. I also received a lot of new polishes that I absolutely had to try! My lovely boyfriend gave me the gorgeous Chanel Sky Line, which was obviously the first birthday polish I tried! I wore it to see the Boston Ballet’s production of the Nutcracker with some of my dance friends because it made me feel super classy! This beauty is like Cinderella in a bottle. It’s absolutely stunning and definitely my favorite in my collection now. And mani number two is provided by my wonderful mother (: She got me the three magnetic Bond colors from OPI, which are so cool! Holographic sparkles and awesome magnets? Perfection. Unfortunately, Winter had set in by the time I tried to take pictures, so they aren’t very good /: I’ll definitely be using MM again very soon though! I hope you’re all having a wonderful holiday season so far! 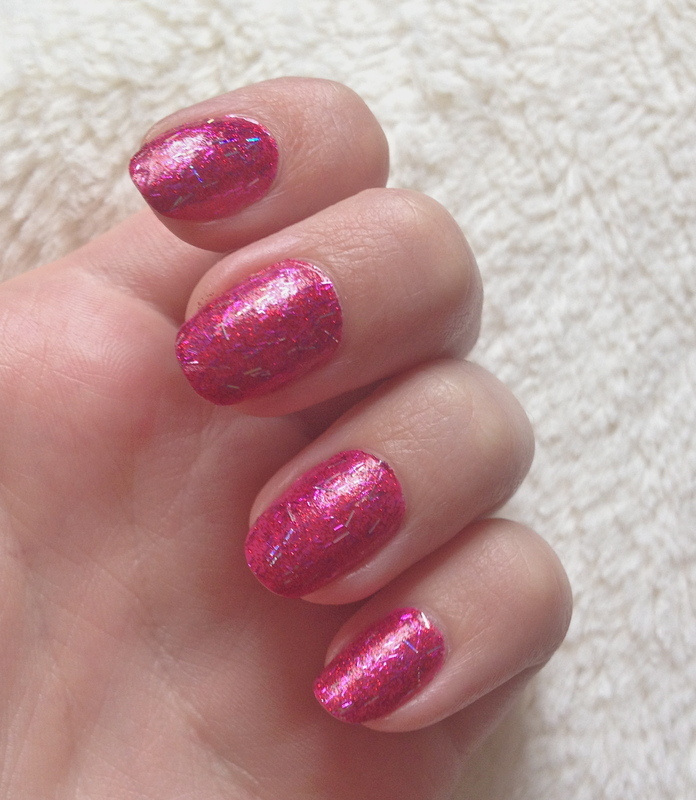 The second of the polishes that my mother sent me recently, Kissy has met every expectation I had of her! 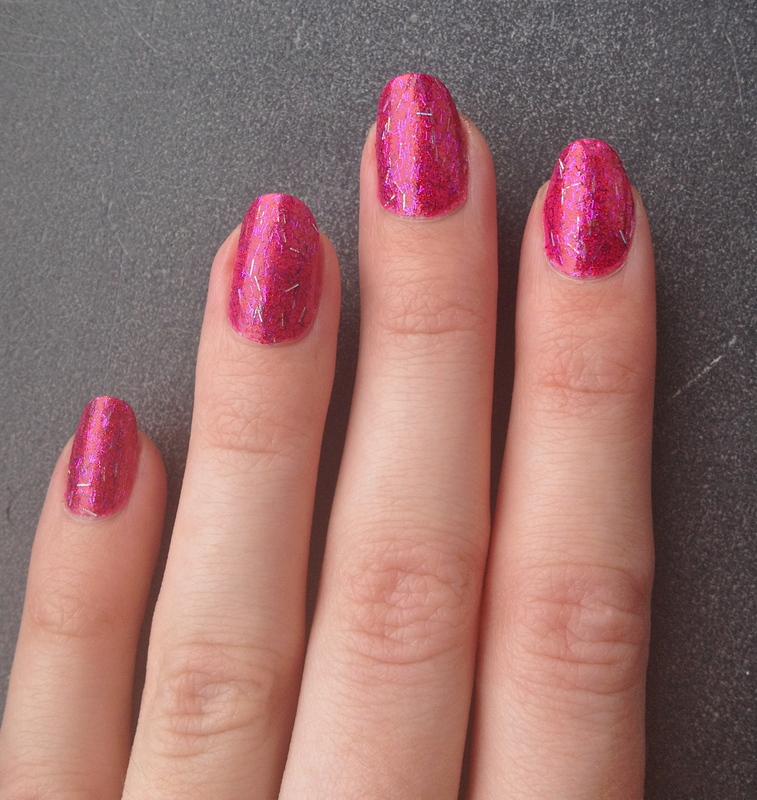 I layered Kissy over Zoya’s other fabulous pink polish Lolly. 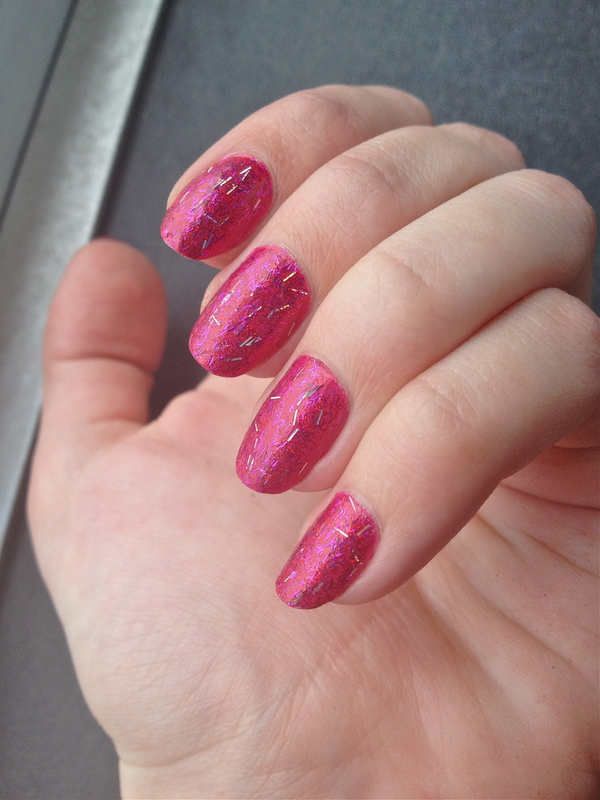 Lolly is a matte pink, so I made sure to cover every bit of my nails in a nice top coat after applying Kissy. Funnily enough, the shaded picture is more true to the actual color of this combination. 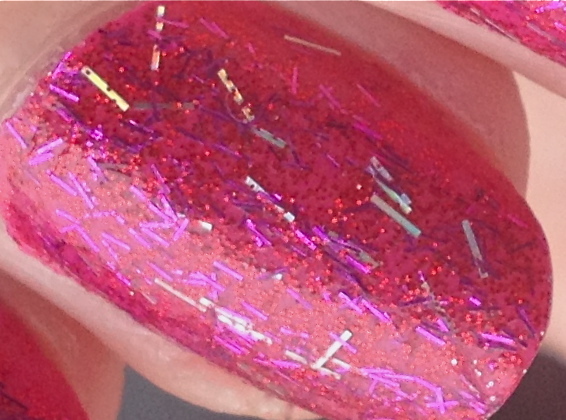 And, because I love the multiple different types of glitter in Kissy, here’s a closeup! There are three types of glitter inside this beauty: silver bar glitters, shorter purple bar glitters and very small round red glitters. 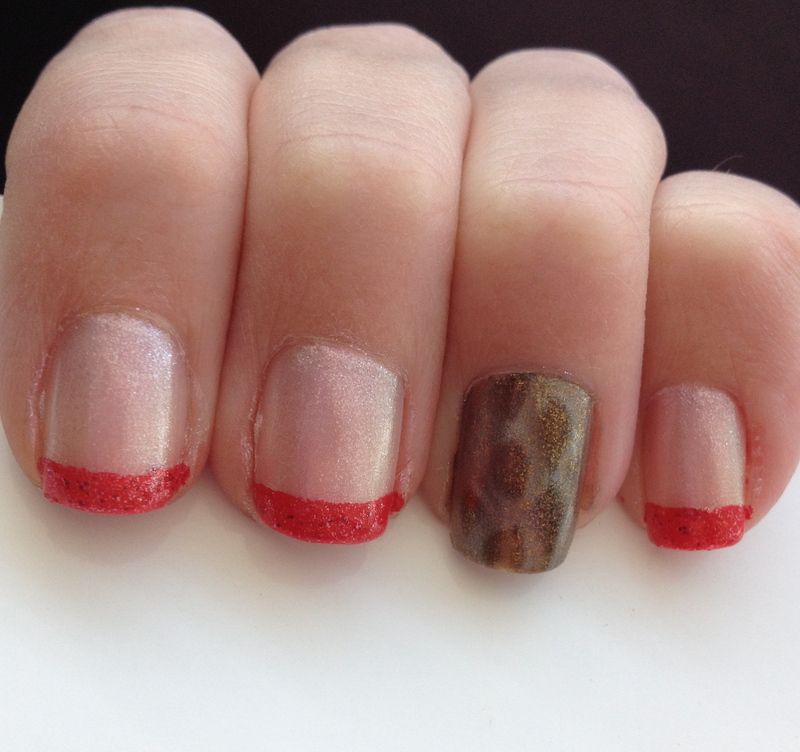 I just realized that this would have been a perfect simple Valentine’s Day manicure! The Kissy was a little difficult to apply, but only because I had to make sure the bar glitter didn’t extend past the edge of my nails. 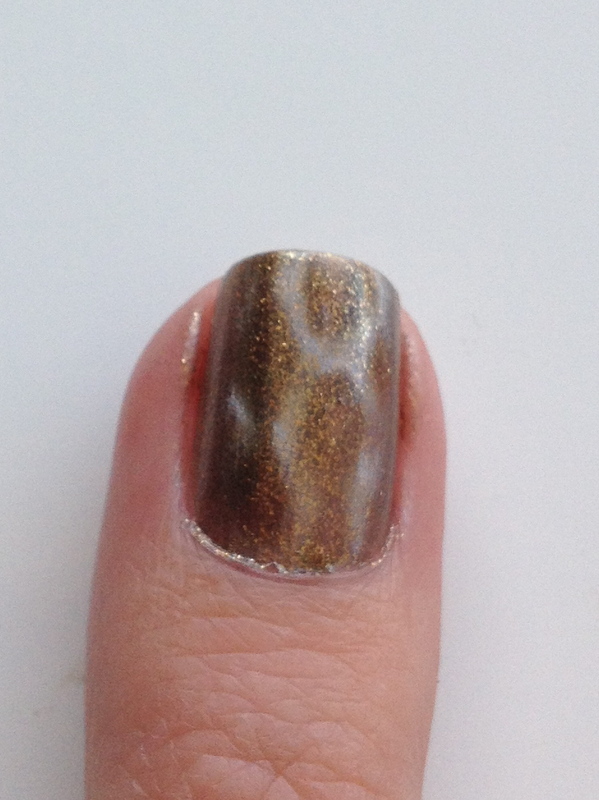 I also had to apply a generous amount of topcoat to ensure I had a smooth surface. On a related note: I’m sure many of you have heard about Zoya’s “Share the Love” program by now. In case you haven’t yet, click the link below to find out more! Upon clicking the link and creating an account with Zoya.com, you will receive a coupon for a FREE bottle of Zoya Nail Polish! 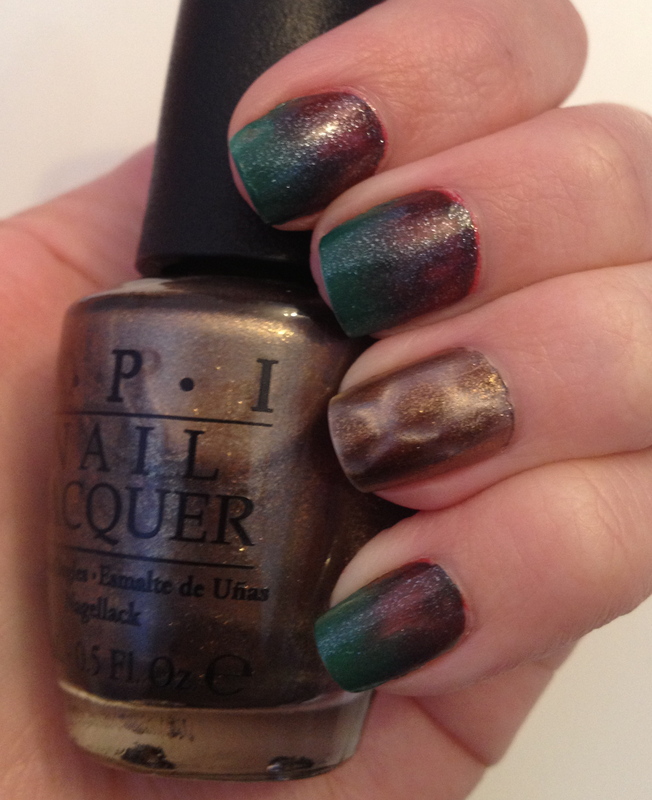 The fun doesn’t stop there, add two more polishes to your order and you get free shipping too! What are you waiting for?